Note: you can access the slides and videos from the authors who have agreed to make their presentations public in the programme page. 10 I. Pispidikis and E. Dimopoulou CityGML Restful Web Service: Automatic Retrieval of CityGML Data Based on Their Semantics. Principles, Guidelines and Bldg Conceptual Design. 14 M. A. Swiderska and C. Ellul How Can 3D GIS Be Used to Better Store, Integrate and Communicate Results of Environmental Impact Assessments? 59 D. Navas-Carrillo, B. Del Espino Hidalgo, F. J. Navarro-de Pablos, and M. T. Pérez Cano The Urban Heritage Characterization Using 3D Geographic Information Systems. The System of Medium-Sized Cities in Andalusia. We are pleased to invite you to the 3D GeoInfo Conference 2018 hosted in Delft, the Netherlands! Aiming to bring together international researchers from academia, industry and government in the field of 3D geoinformation, the conference offers an interdisciplinary forum to researchers in the fields of data collection, advanced modelling approaches, data analysis and visualisation. The conference will focus on developments and applications in advanced 3D data and technologies, as well as provide a platform for these topics to be discussed and for research ideas to be exchanged. There will also be opportunities to promote international collaboration in geoinformation, 3D data analysis and visualisation. The conference will taking place on October 1-2, 2018, and is part of the joint event Geo Delft 2018 on October 1-5. 3D GIS, spatial analysis and its applications (cadastre, utilities, infrastructure, navigation, planning, geology, disaster and risk management, archaeology, marine systems, simulations). In addition, we will be hosting a EuroSDR track, which will include papers and presentations that are of particular interest to National Mapping and Cadastral Agencies. The accepted papers will be published in the ISPRS Annals or the ISPRS Archives, which are both indexed by SCOPUS. Authors of selected papers might be also be invited to extend their paper for possible publication in ISPRS Journals. Full papers will be published in the ISPRS Annals or ISPRS Archives after being accepted in a double-blind review. The submitted papers should report new or improved techniques, algorithms, benchmarks, technology developments, frameworks, and best practices, which are not published elsewhere. Papers will be evaluated on their originality, novelty, and impact. Full papers not accepted for ISPRS Annals might be considered for the ISPRS Archives. Abstracts will be published in the ISPRS Archives after being accepted in a double-blind review and extended into papers. The abstracts on their own will not be published. The submitted abstracts can be new or improved techniques, algorithms, benchmarks, technology developments, frameworks, and best practices, which are not published elsewhere (like the full papers), but they can also be professional/demo papers demonstrating innovative systems and practical approaches, or research in progress. Stand-alone presentations can be accepted based on a submitted abstract that explains the content of the presentation. These abstracts will not be published by ISPRS, but will be available in the conference website. The extended abstracts and full papers should be submitted according to the ISPRS guidelines and template (anonymised and limited to 8 pages). The abstracts before being extended and the stand-alone presentations can be submitted either already in the ISPRS template or by putting the abstract in the relevant field and not uploading any file. Submissions should be sent through Easychair. 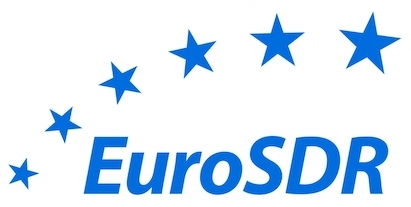 In your submission form, please indicate if you would like to present your work at the EuroSDR track (which will have the same review/selection process as the other submissions).